Turbines that generate the power in your plant are a considerable investment. Maximize their performance with the proper lubricants from Atlantic States Lubricants. We supply a complete line of products designed specifically for the critical services unique to your industry. We also offer on-site filtration along with our high quality synthetics from such brands as Mobil and Castrol. 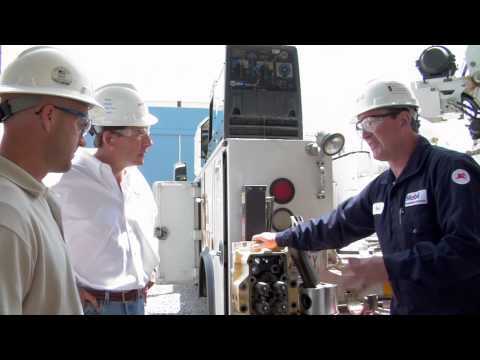 Mobil SHC Pegasus Protects a Caterpillar Engine for over 16,000 Hours : A Mobil SHC Success Story.